Depression is not a choice. Teens who suffer depression want to be happy, healthy, normal. They just need help getting there. For the past 10 years, the Akron Children’s Hospital Partial Hospitalization Program has been a lifesaver for teens in crisis. The program teaches teens experiencing emotional and behavioral challenges valuable life skills while keeping them in the community, and avoiding psychiatric inpatient hospitalization. It can also help transition those teens who are hospitalized back to home and school. A 10th anniversary celebration took place on Sept. 25 in the partial hospitalization space, located on South Main Street, just a few blocks south of the hospital. 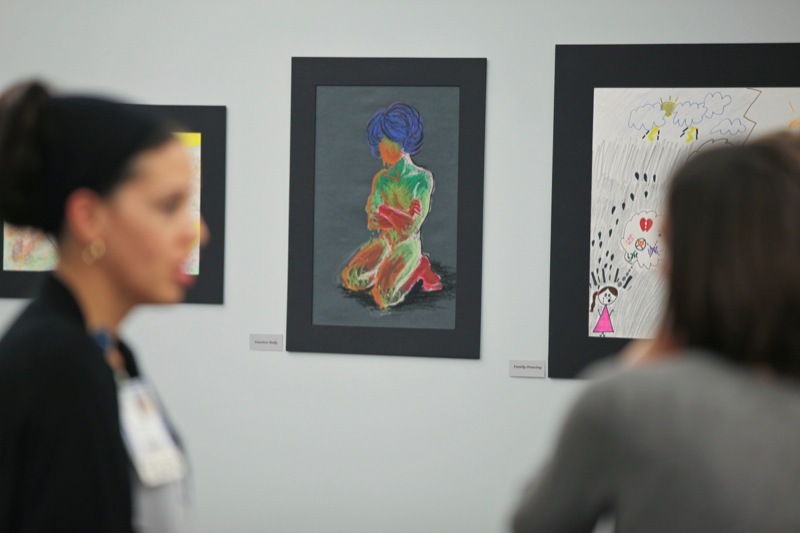 The open house showcased the artwork of current and past participants and served as an opportunity for school counselors and mental health professionals in the community to meet the staff and learn more about the program. Straight estimates the program has made a real difference in the lives of nearly 4,000 teens over the past decade. Partial hospitalization is for adolescents 13 to 18 who meet the DSM criteria for a psychiatric illness, such as depression or anxiety disorder. Some have attempted suicide or self harm. The program, held Monday through Friday from 8 am to 3:30 pm, stresses mindfulness and a combination of Cognitive Behavioral and Dialectic Therapy skills the teens can implement and practice to improve their lives. Proven interventions include group and individual therapy, art therapy, yoga, and sand tray therapy, where participants select from hundreds of small figurines and, using the arena of a sandbox, tell stories that may be difficult to communicate in a typical face-to-face manner. The staff includes a teacher who ensures the students devote one hour per day to keeping up with their classroom assignments. 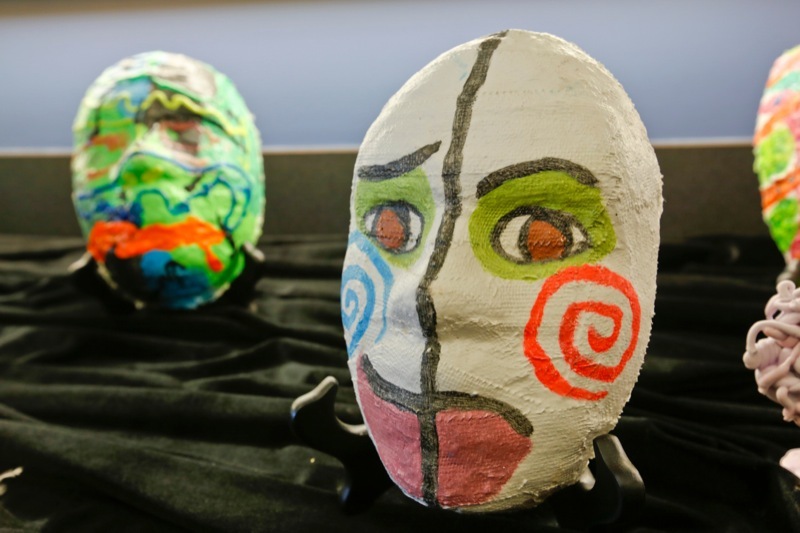 According to Dr. Stephen Cosby, director of the division of pediatric psychology and psychiatry, one of the strengths of the program is emphasizing face-to-face communication among the teens. In 2010, the team also created the intensive outpatient program. Offered on 3 weekday evenings, this program can be a step down program for partial hospitalization participants or a better fit for teens requiring less intervention. The partial hospitalization team always looks for ways to make the program even better and, in the future, that could involve offering some type of refresher course or maintenance groups for graduates who encounter setbacks or new challenges. The past 10 years have been as much an education for Straight, as it is for the teens he counsels. 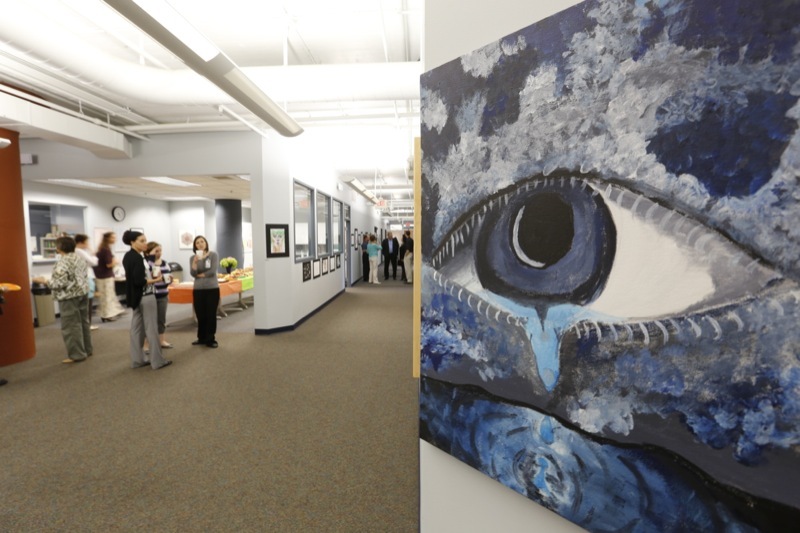 From its use of expressive art therapy to its marble ceremony, Akron Children’s partial hospitalization program has had a decade to perfect its practices – all evidence-based. This video takes viewers into Akron Children’s partial hospitalization space and features words of its teen participants. It was produced on behalf of the program’s 10th anniversary by Andrea, Katy and Jenny Alberti, of Amelia Street Studio. They are the daughters of Janet Alberti, a mental health therapist at Akron Children’s Hospital. 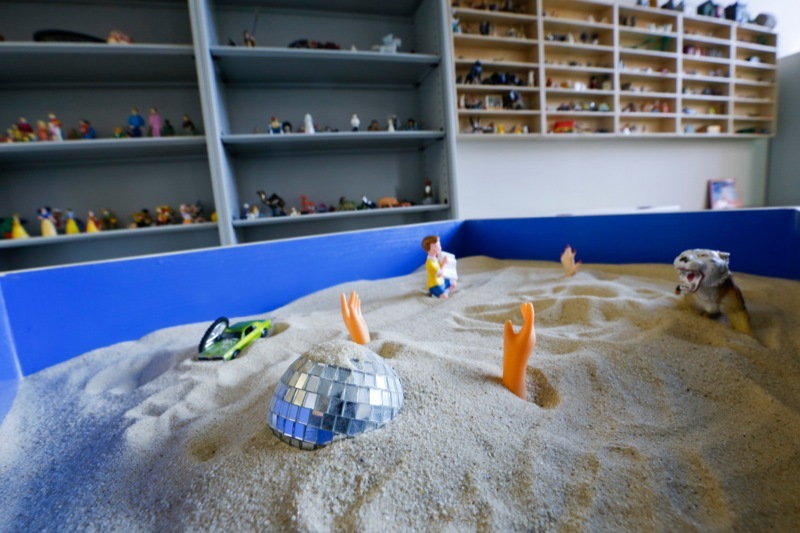 Akron Children’s Hospital – Open House from Amelia Street Studio on Vimeo.